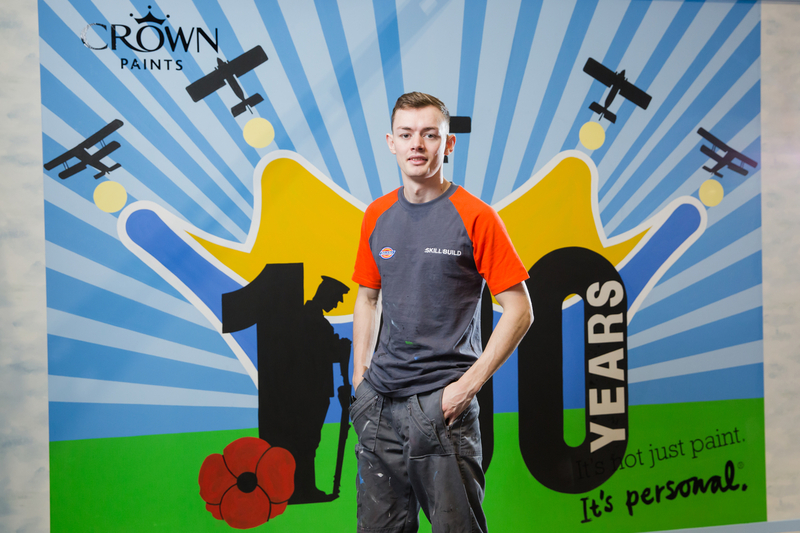 Aiden Dearie has been chosen as the gold winner of the 2018 Crown Paints Apprentice Decorator of the Year competition after a three-day challenge at the WorldSkills UK LIVE event at Birmingham’s NEC. The final included seven regional winners undertaking a timed challenge: completing a design which commemorated the 100 year anniversary of the signing of the Armistice Agreement. The artwork was devised by Crown’s in-house design studio specially for the competition.